Each winter, Iowa Department of Transportation (Iowa DOT) maintenance operators are responsible for plowing snow off federal and state roads in Iowa. Drivers typically work long shifts under treacherous conditions. In addition to properly navigating the vehicle, drivers are required to operate several plowing mechanisms simultaneously, such as plow controls and salt spreaders. There is little opportunity for practicing these skills in real-world situations. A virtual reality training program would provide operators with the opportunity to practice these skills under realistic yet safe conditions, as well as provide basic training to novice or less-experienced operators. 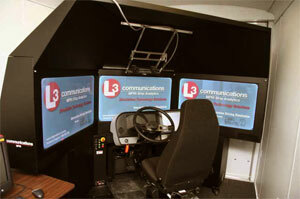 In order to provide such training to snowplow operators in Iowa, the Iowa DOT purchased a snowplow simulator. The Iowa DOT commissioned a study through Iowa State University designed to (1) assess the use of this simulator as a training tool and (2) examine personality and other characteristics associated with being an experienced snowplow operator. The results of this study suggest that Iowa DOT operators of all ages and levels of experience enjoyed and seemed to benefit from virtual reality snowplow simulator training. Simulator sickness ratings were relatively low, implying that the simulator is appropriate for training a wide range of Iowa DOT operators. Many reported that simulator training was the most useful aspect of training for them.